Thirty-five years ago today, on July 12, 1979, Operation USA, then known as “Operation California,” launched its first-ever relief effort–aiding 44,000 Vietnamese “Boat People” refugees suffering on Pulau Bidong (a waterless and treeless rock island) in the South China Sea off the coast of Malaysia. 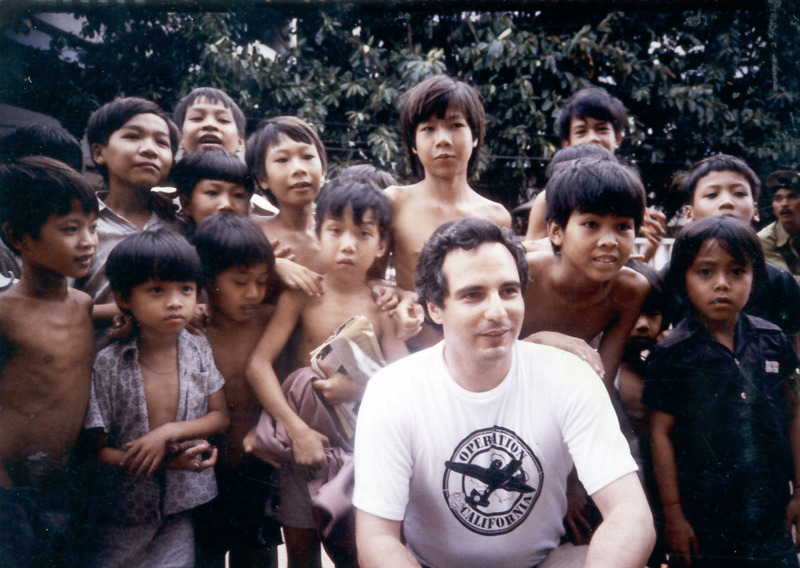 Richard Walden visits with Cambodian refugees in Thailand, 1982. Only 29 days earlier a friend and I had dreamed up the idea for a relief airlift while sitting on the beach in Venice, California. We never dreamed that what was to be a one-time effort would continue on to a second flight carrying supplies to Cambodian and Lao refugees in camps in Thailand, and then a relief flight directly into genocide and famine-ravaged Cambodia, which had been cut off from the world for more than three years under Khmer Rouge rule. As 1979 turned into 1980 we sent aid to Somalia, and a year later to Central America, followed by the delivery of aid to victims of civil unrest in Poland and Lebanon in 1982… and so it has gone. Now, 35 years later–having sent disaster aid and/or having created development projects in 100 countries–I look back in wonder, and with profound gratitude to all those who have taken part in this adventure. 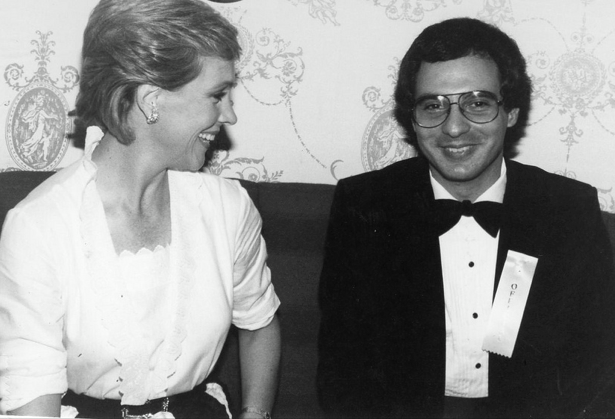 Richard Walden with founding board member Julie Andrews, 1983. From the construction of schools in China to the delivery of medical supplies and equipment in Africa to long-term disaster recovery in Haiti and the United States, Operation USA has successfully developed programs around the world. We continue to offer material and financial assistance to community-based organizations that promote sustainable development, leadership and capacity building, income generating activities, education, health services, and advocacy on behalf of vulnerable people–with more programs being developed with each passing year. Still, there is far more to be done by our organization (which I’m proud to say is 100% privately-funded)–and by the larger and growing nongovernmental and governmental sectors–but I rejoice at the challenges we face and the possibility to attract new and “fresh eyes” to our work in the months and years ahead. 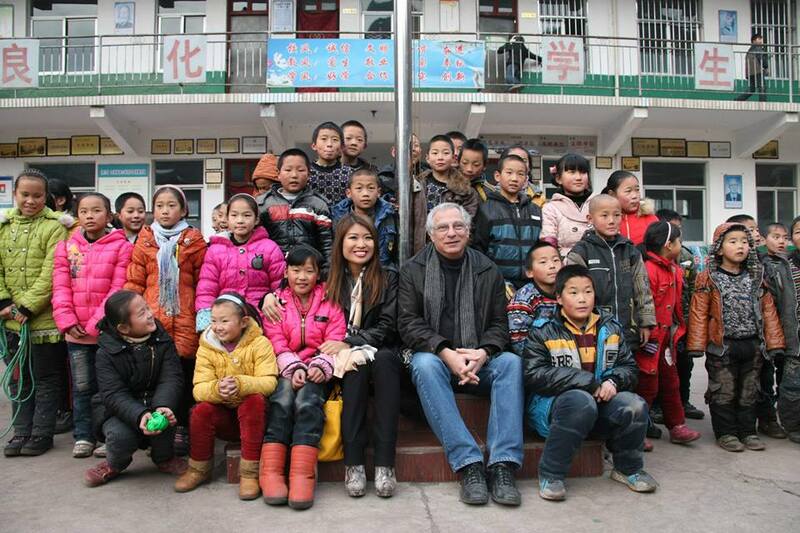 Richard Walden visits school children in China, 2014. We truly are “the little ship that gets in the harbor where the big ships cannot go” (so says Julie Andrews, a founding board member), and I could not be more proud of how far Operation USA has come since that first relief flight 35 years ago today. I look forward to all we are able to accomplish–with your continued support–in the future. To learn more about Operation USA’s full history, click here. To make a donation in support of our work, click here.